Water challenges and opportunities is first up in the form of a lecture by Helen Neuhaus, owner of Helen Neuhaus Associates – a public involvement consulting firm specializing in design and planning infrastructure. This speech will be directly followed by the world premiere of Mannes faculty member Faye-Ellen Silverman’s new work for clarinet and chamber orchestra – Orchestral Tides, a five-movement work about the positive and negative aspects of water, featuring clarinetist Ashleé Miller. Since establishing her consultancy in 1977, Helen Neuhaus has guided more than 450 major public-sector projects through an approach that combines traditional public involvement modules with innovative, and sometimes unconventional, strategies geared to developing acceptable and implementable options. This has included facilitating environmental infrastructure initiatives focusing on the imperative of ensuring the availability and reliability of sustainable high quality water supply systems. 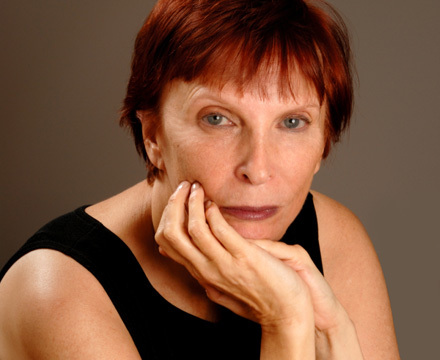 Faye-Ellen Silverman, currently an associate part-time professor at Mannes College the New School for Music and Eugene Lang College The New School for Liberal Arts has recorded on Albany, New World Records, Capstone, Crystal and Finnadar Records. She has received awards from UNESCO, the National League of American Pen Women and ASCAP, and been awarded residencies at the Villa Serbelloni, VCCA, the Macdowell Colony, and Yaddo. She has received many commissions including the Phoenix Concert series, Edinboro University Chamber Players, Seraphim, the Monarch Brass Quintet, Great Lakes Performing Artist Associates, the Greater Lansing Symphony, and the Chamber Music Society of Baltimore. The free lecture and concert will be held in the Theresa Lang Community and Student Center, 55 West 13th Street, 2nd floor, and conducted by Mannes College The New School for Music’s Solène Romieu, making her professional conducting debut and leading the Green Fund Project Orchestra, consisting mainly of performers drawn from the Mannes student community. This event is funded by The New School Green Fund, which was created in spring 2010 as part of an annual initiative to increase community involvement in the sustainability efforts of the university and promote research around environmental issues.